Safety Town is a program designed to teach children between the ages of 5-6 (entering Kindergarten or 1st Grade) Safety appropriate for their age. 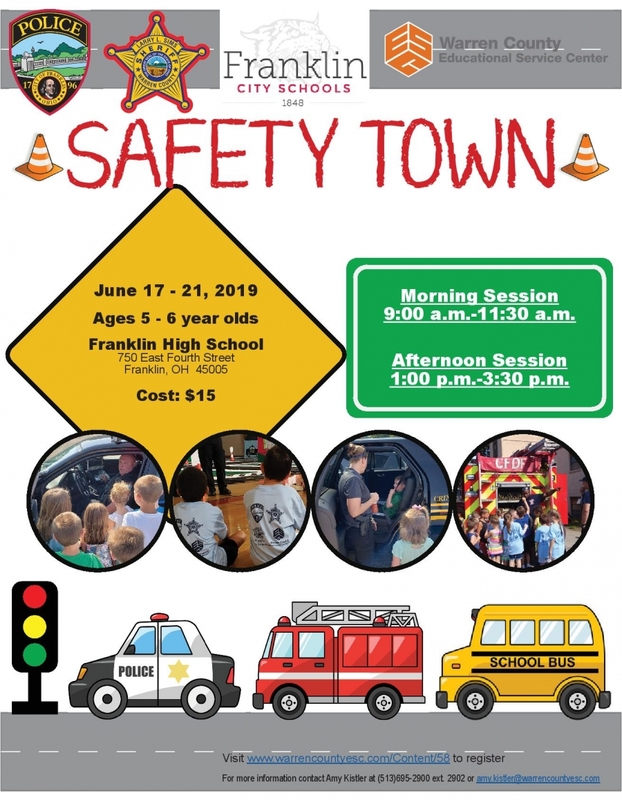 This half-day week long Safety Town will be taught by the City of Franklin Police Department and Warren County Sheriff's Office, with the assistance of high school aged volunteers. Topics to be covered are pedestrian safety, bike safety, stranger awareness, fire safety, use of seatbelts, gun safety, how to safely wait for and board a school bus and appropriate use of 9-1-1.